ANC to address demands of electorate: Ramaphosa - SABC News - Breaking news, special reports, world, business, sport coverage of all South African current events. Africa's news leader. Dlamini-Zuma assured the residents that government would change their fortunes. African National Congress (ANC) President Cyril Ramaphosa says the ruling party will address the demands of the electorate. He’s been campaigning for his party in Swaneville on Gauteng’s West Rand. Ramaphosa says the calls for infrastructure development and economic inclusion from residents he interacted with, will continue to be tackled when his party returns to power after the May 8 election. 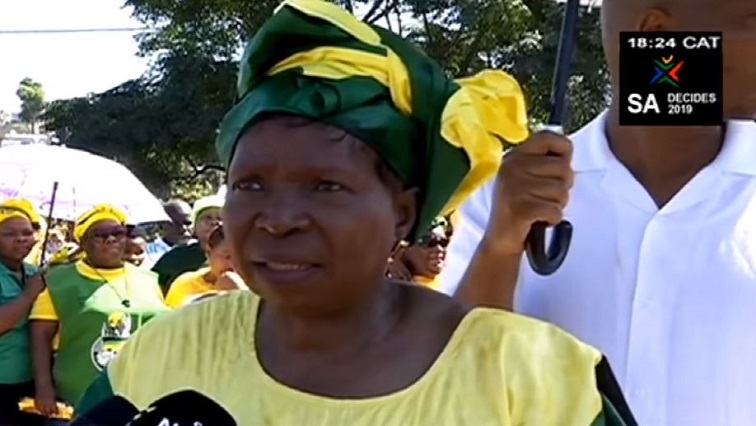 National Executive Committee member Dr Nkosazana Dlamini-Zuma took the ANC election campaign to ward 107 in Inanda, Durban. She faced a barrage of complaints from residents. They accuse government of failing to meet their demands. Some of them say they live in abject poverty and have no jobs. Crime also came under the spot-light. The residents also called on Dlamini-Zuma to address the issue of gate-keeping within their ward. The ward is currently run by an independent ward councillor after residents rejected a councillor candidate whom they say was imposed on them. She encouraged them to vote for the ANC. “The issue of membership and gate keeping and all these things, I explained to them that the issue has been with us but we have taken a firm decision that after the elections we must attend to this because it’s not new, it’s been going for some time ” says, DlaminI-Zuma. Meanwhile, ANC Treasurer-General Paul Mashatile campaigned in rural Swayimane outside Pietermaritzburg and promised that government will improve service delivery. He was welcomed by community members on his door-to door campaign but some refused to accept the free ANC T-shirts being handed out. “Other houses have raised issues of electricity but not all of the there is a project by provincial government and the municipality to put electricity but they have not reached all the homes. Some of the homes decided to connect themselves, what we call izinyoka nyoka, but they are not happy themselves. They say we did this because we don’t want to wait. But we will attend to it,” says Mashatile.